2 - "Cost of Living"
4 - "Shape" a.k.a. 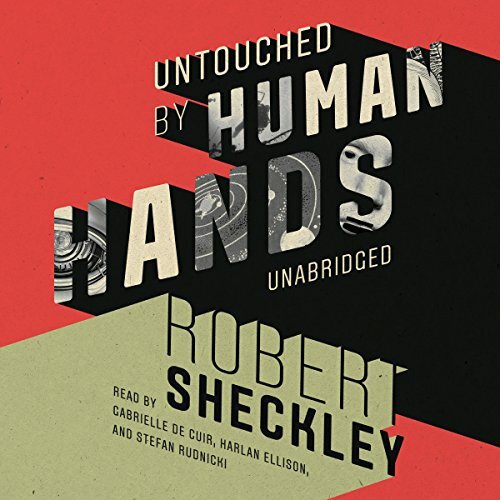 "Keep Your Shape"
5 - "The Impacted Man"
6 - "Untouched by Human Hands"
7 - "The King's Wishes"
13 - "Beside Still Waters"
I have a soft spot in my heart for all of Robert Sheckley's stories, but as true as with anything, some are better than others. "Cost of Living" - a description of a future (not too unlike our own present) in which homeowners rack up so much debt to stay comfortable with all of life's latest products and gadgets that mathematically, it would be impossible to pay off before death. It's a shame this story wasn't as prophetic as it was. I would have preferred that this one stay under 'fiction'. "Seventh Victim" - Sheckley's first short story that started his entire "Victim" trilogy of books. If you haven't read them, go check them out NOW! ("The 10th Victim" is the trilogy's first installment). "Beside Still Waters" - A heartbreaking study in loneliness and isolation. A man who lives on a large asteroid builds himself a robot to be his only friend. I won't ruin the ending for you, but it's great.